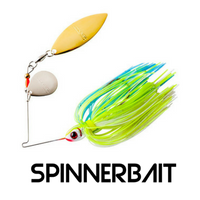 On my most recent fishing trip I wanted to focus on targeting Zander with bigger lures. The water we fished on has recently delighted a few of the well known lure anglers with big Zander so I thought we would give it a go ourselves. 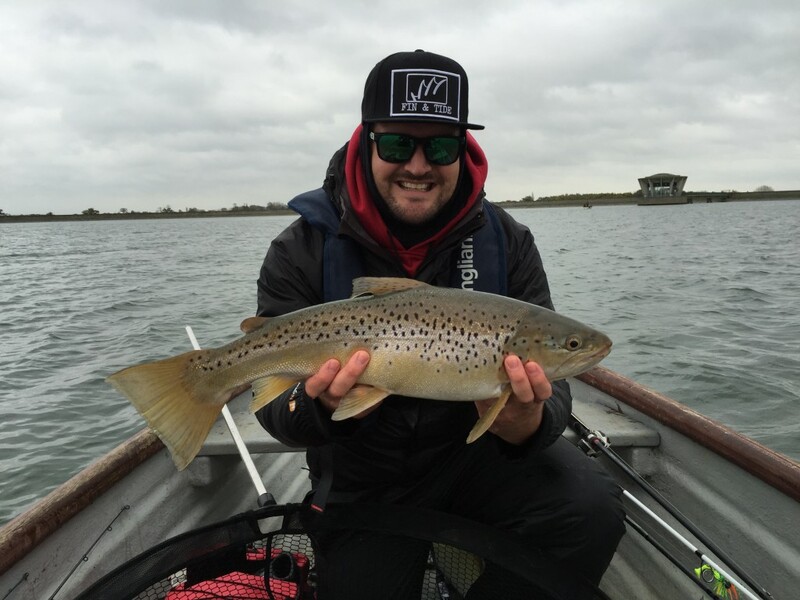 I was lucky enough to be accompanied by my mate and great all round angler Stuart who was up from London for the weekend. 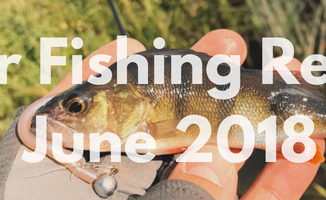 The trip started like many others do the night before with a fair few beers, talk of tactics and fishing gear whilst checking and rechecking all tackle into the early hours of the morning. Lucky for us we did not have to get up early because I live only a short drive away from this water. I really wish someone would come up with a system that would allow anglers out onto the water before sunrise. 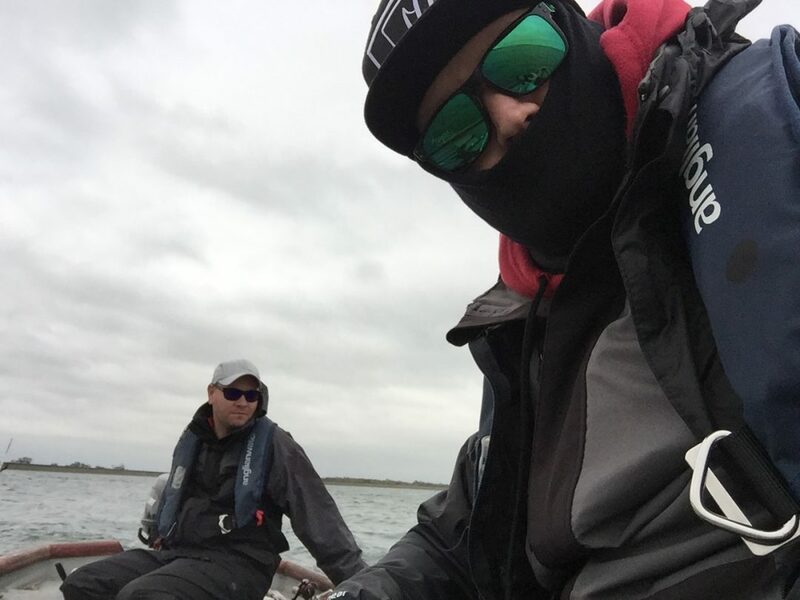 This really is my favourite time to be out on the water, It would also be great if it costed less than £55 a day for two anglers. The day started off relatively slowly with the first bites only coming off the second spot we drifted. 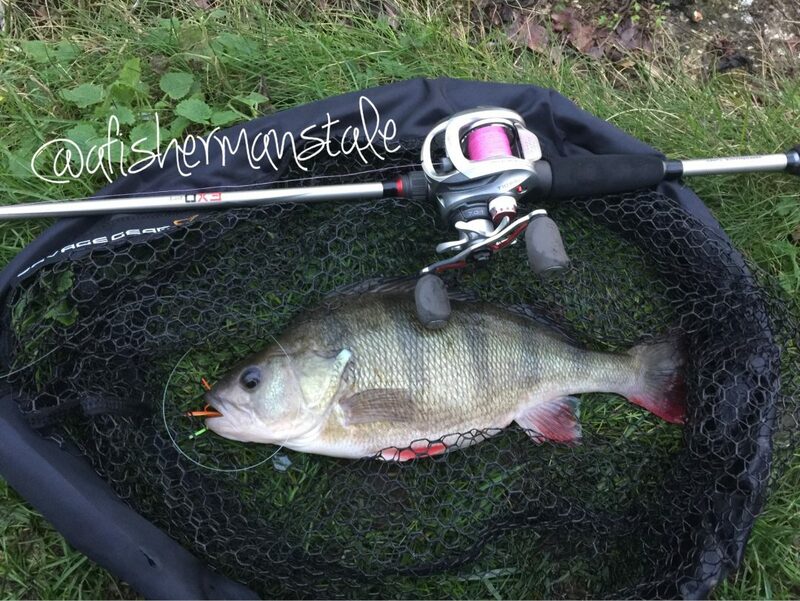 Stuart landed his first perch of the day from 54ft of water by making casts and letting his Zoom Swimming Fluke Jnr sink to the bottom and then giving the reel 5 steady cranks to get the lure off the bottom and entice the predatory fish. Whilst Stuart was busy hauling in his best day’s catch of perch I persisted with casting larger plastics in the hope I would stumble across a bigger Zander. I have to admit I was disappointed with myself because I did not take my normal rods with me. I had three new rods from Quantum that I was testing which were all not suited for the techniques I wanted to do. 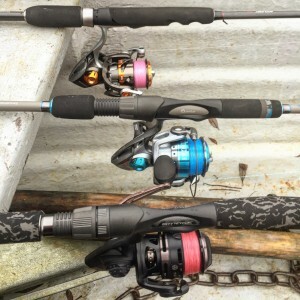 Quantum Accurist – 3-12 gram – 2.03m 1 piece rod = I think this would be a great rod for canal work. Quantum Smoke traveller – 5-55gram casting – 2.55m 5 piece rod – This rod will be a fantastic all round rod that you can pack in your suitcase for both salt and freshwater. Having spent all morning casting bigger plastics I decided to change up and use something smaller a 10cm Salty Shat’r from Quantum and tried some vertical fishing in 60ft of water near the dam wall. It only took a couple of minutes of jigging and the Iron rod proved it has a lovely parabolic action as the rod doubled over with a heavy take. I took my time bringing this fish up because of the depth. 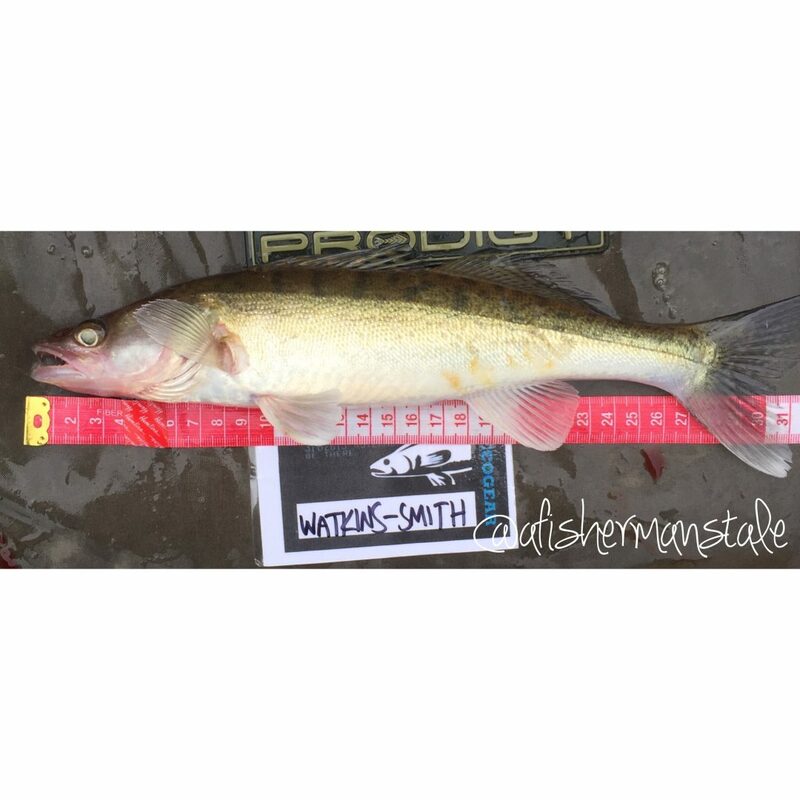 I was also convinced that this fish was a Zander because of the way it was pulling. It was only when it was in the net that I realised it was actually a big brown trout. I have never been disappointed with a fish but on this occasion because I had tried so hard all day for Zander and ignored all the small bites I was getting, I was a little frustrated. After taking a couple of pictures and weighing the fish she was released back to fight another day. 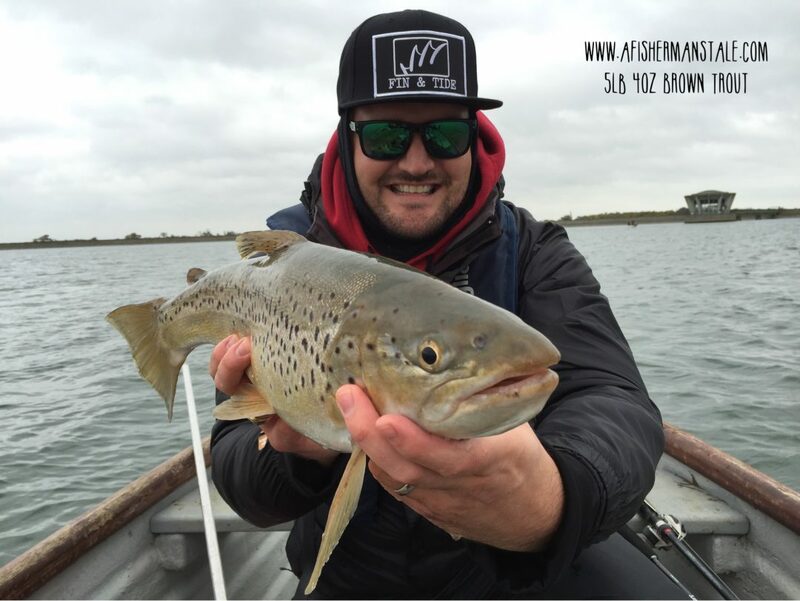 On the way back home we discussed what worked for Stuart who was very pleased with his days catch , he explained to me that he would have never fished in the areas that I put us in and at the depths of water we were fishing. I was pleased that I had been able to show Stuart something new that he can add to his knowledge. I learnt something over that weekend too, Stuart kindly showed me how to tie a double grinner knot properly. No more horrible looking braid to fluro knots! I am looking forward to getting back out on this water to target Zander again over the next few weeks.